Mary Neil Hill obituary. Carnes Funeral Home. Oct 18, 2018 I will miss Mary; she was a sweet friend......always kind and humble. Mary Neil Hill(Ray), age 85,passed away peacefully on Friday, October 12, 2018 at a hospital in Houston, Texas. She was born in her home in Ringgold, Louisiana on August 26,1933. 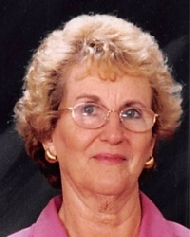 She is preceded in death by her husband, Walter Dale Hill; daughter, Jackie Lyn McWilliams (Sessums); her parents, Mary Ellen Ray (Hart) and Laurence Dewey Ray; sister, Shirley Delaine Tompkins; brother’s Bill West Ray and Larry Ray, and grandson, Michael Wesley Cormier. She grew up in Ringgold, Louisiana and graduated from Ringgold High School, Class of 1953. She was a Christian woman with a strong faith.She was a member of the Sagemont Church in Houston, Texas. Mary was a loving wife and mother for many years and then went on to pursue massage school at age 50 to become a massage therapist. She had a clinic in League City, Texas where she developed wonderful relationships with her clients. Her love for massage therapy continued to keep her clients returning. As the years went on, Mary formed remarkable friendships with other massage therapists and clients. Mary is survived by her sister, Betty SueTracy; brother-in-law, Earl Joseph Tracy; daughter, Shirley Ann Roulin(Sessums); son, Jack Willis Sessums Jr.; granddaughter, Candice Danielle Stewart(Roulin), and five great-grandchildren. Mary loved her family dearly and always saw the good in people. Mary was as spunky as they come. You could not have asked for a better wife, mother, sister, grandma, and friend. Mary was always there for you in time of need. Family and friends are invited to share in a Celebration of Life funeral service on Thursday, October 18, 2018 at Carnes Funeral Home, 3100 Gulf Freeway, Texas City,Texas 77591 beginning at 11:00am with Pastor Rex Forsyth officiating. Graveside rites and burial will follow at Forest Park East cemetery in League City, Texas. Visitation will be from 10:00am until the hour of the service on Thursday, October 18, 2018.